SUNNYVALE, Calif., Oct. 22, 2018 — Ondas Networks Inc. (“Ondas Networks”), a leading supplier of private licensed wireless data networks for mission-critical industrial markets, announced today the successful completion of its acquisition by Zev Ventures Incorporated (“Zev Ventures” or the “Company”) whereby it became a wholly owned subsidiary of the Company. To better reflect the Company’s core business, Zev Ventures changed its name to Ondas Holdings Inc. (“Ondas Holdings”). The name change and trading symbol change to “ONDS” was effective at the market open on October 5. The Company issued 25,463,732 shares of its common stock to the former Ondas Networks’ stockholders in the transaction. The shares are covered by a lock-up agreement which, among other things, restricts their resale for an initial 12-month period followed by a subsequent 12-month limited sale period. In conjunction with the acquisition, the Company entered into a $10 million credit facility with one of the Company’s stockholders. In addition, the closing of the acquisition triggered the availability of a $5 million credit facility with one of Ondas Networks’ prior lenders, providing an aggregate of $15 million available for corporate expansion. Ondas Networks designs, develops, manufactures, sells and supports FullMAX, its multi-patented, state-of-the-art, point-to-multipoint, Software Defined Radio (SDR) system for secure, licensed, private, wide-area broadband networks. Ondas Networks’ products are applicable to a wide range of mission critical applications that require secure communications over large and diverse geographical areas, many of which are within challenging radio frequency environments. Ondas Networks intends to sell its products and services globally to critical infrastructure providers including electric utilities, water and wastewater utilities, oil and gas producers, transportation and governmental entities. In conjunction with the acquisition, Ondas Holdings announced the addition of new members to its Board of Directors and named an additional executive officer. Eric Brock continues as Chief Executive Officer and Chairman of the Board, while Stewart Kantor was appointed as President, Chief Financial Officer, Secretary and Treasurer. The new Directors of Ondas Holdings include Stewart Kantor, Derek Reisfield, Richard Cohen and Richard Silverman. Additional details relating to the transaction are included in the Company’s Current Report on Form 8-K which was filed with the Securities and Exchange Commission on October 4, 2018. Ondas Holdings Inc., through its wholly owned subsidiary, Ondas Networks Inc., is a wireless networking company that designs and manufactures its multi-patented, Software Defined Radio (SDR) platform for Mission Critical IoT (MC-IoT) applications. Ondas’ customer end markets include utilities, oil and gas, transportation and government. Customers use our SDR technology to deploy their own private licensed broadband wireless networks. 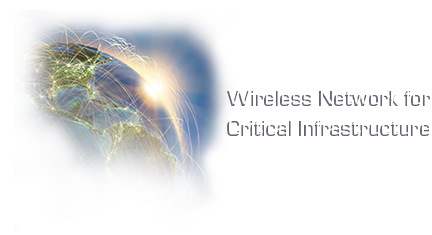 We also offer mission-critical entities the option of a managed network service. Ondas’ SDR technology supports IEEE 802.16s, the new worldwide standard for private licensed wide area industrial networks. For additional information, visit www.ondas.com.